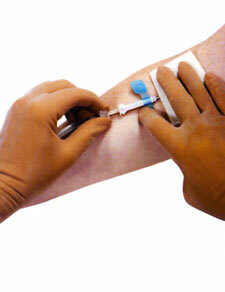 Below are highlights of proper use of the SafeTouch II Needle. 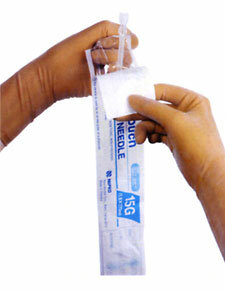 For complete information please refer to the Instructions For Use printed on the outer product carton. Peel open the package from the position marked "PEEL HERE". Do not break open the package to remove product. 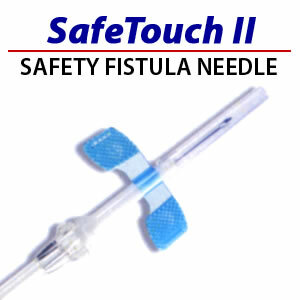 Safety is built into the SafeTouch II needle design. After removal from package, check to ensure that wing protector is securely locked into the stopper. 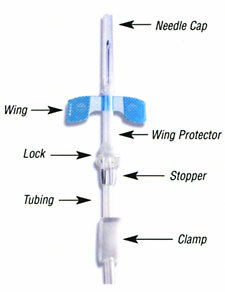 At end of procedure, close clamp, apply pressure to site and hold down wing protector; release lock by pressing both sides of stopper, sliding stopper back until it becomes fixed with audible or tactile click. 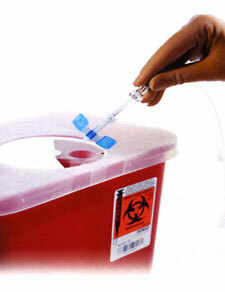 Once wing protector is fully engaged dispose of protected SafeTouch II needle in an approved sharps container.